The Premium landscape today in India is experiencing strong evolutionary undercurrents that are redefining the consumer profile and how premium players operate in this space. Traditional ‘definitions’ and ‘characteristics’ of Premiumisation are evolving with increasing awareness among consumers; and this is creating a host of opportunities for existing as well as new players. The last year had seen the entry of several new Premium brands in the Indian market. Nearly 50% of the total new launches in the Personal care space were Premium brands in the year 2013 (as per IMRB KantarWorldPanel). Premiumisation however is not confined to the FMCG space alone. With increasing availability of international fashion brands at affordable rates, consumers today are tuned-in to the latest global fashion trends. Even in the Automobile and Consumer durable space brands like Skoda, Samsonite are now shifting their focus to Premium brands to drive up sales. But what drives Premiumisation today? There are several external factors responsible for bringing about this change. One of the key reasons today is the increasing disposable income of an Indian consumer which has gone up by 18% (CAGR) in the last 5 years. At the same time there is also the falling age dependency ratio in India and the rising young working population which not only translates into increasing demand but also a more value conscious demand. Other factors also include organized retailers playing a key role in increasing demand for premium products by helping companies directly engage with consumers. As per the latest CBRE Global and Consulting report, there is a growing presence of modern trade in reaching smaller towns. This has given consumers an easy and increased availability of choice across brands and categories. But at the same time with escalating real estate costs and complex regulations, some brands are also choosing to avoid spending millions on stores and are instead testing the market by stocking their merchandise with specialist online retailers. The latest report from the IMRB Digital team also suggests a substantial increase in the number of users shopping online in the last one year. Today the Indian economy has started to show signs of a turnaround. Consumers are now opting for more and more premium products. The share of spends on Premium products across categories have grown. Within the Bar soaps category, the share of spends on Premium brands has gone from 30% to 33% or even looking at the shampoo category the share has increased from 34% to 36%. Premium FMCG categories like Kids MFD, Fabric Softener, Handwash are also showing a double digit growth. The Kids Milk Food drinks category is growing at the rate of 20% in terms of value while Handwash and Fabric Softener saw a growth of 24% and 33% respectively. But what drives growth for these Premium brands in the FMCG space? “Upgradation” is the key growth driver, consumers are seen to be upgrading from Economy to Premium brands. However consumers do not completely switch to a Premium product BUT would rather add a Premium brand to their repertoire. Taking the case of the Biscuits category, 45% of all Biscuit buyers purchase both a Discount as well as a Premium Biscuit. Premiumisation is also not restricted to high involvement categories but to low involvement categories too like Tea, Toothpaste although the momentum in consumer upgradation is at a much slower pace. Premiumisation today is also not limited to only the upper affluent consumer, with rising aspirational and increasing disposable incomes we do see Premium variants reaching the basket of even an SEC CDE consumer, although the penetration levels might not be as high as an upper affluent consumer. Today we see 48% of SEC CDE consumers purchasing a Premium Cream Biscuit and 66% of lower SEC shoppers are buying Premium bar soaps. Hence the implication for a marketer today is to create a portfolio play by pushing a small pack premium offering to these consumers, thereby creating Affordable Luxury among lower affluent consumers. Although we see Premiumisation not being limited to particular consumer groups, there is however a big budget gap in the FMCG spends across markets. North and West markets are bigger spenders as compared to an East and South consumers. Taking the examples of Premium Food categories like Multigrain Atta, Blended Edible Oil, North & West markets were found to be overleveraged in terms of their spends, while East was not very inclined towards Premiumisation. So the implication for a marketer today would be to strategize their premium offerings to key markets. Premiumisation in India is still at a very nascent stage. But it’s definitely driving growth for manufacturers today. Hence the key to Premiumisation is to constantly upgrade consumers to Premium brands. As of today we cannot expect a consumer to completely shift to a Premium variant BUT rather add it to his purchase basket. But the important question we need to understand is what will induce a consumer to upgrade to a Premium brand? 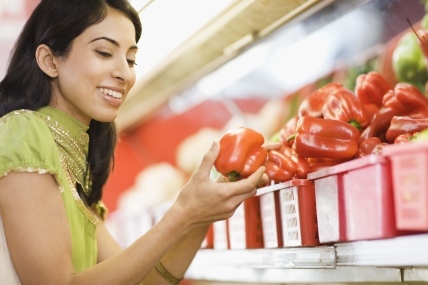 With changing Lifestyle today, an Indian consumer is increasingly looking for more benefits provided by Health foods. Consumption levels for categories like Health Biscuits; Multigrain Atta is on an increase. As per IMRB KantarWorlpanel, Health Biscuits has seen a 5% increase in consumption levels while Multigrain Atta has gone by 8%. With Lifestyle inflation today, in home Personal grooming has also become a part of the consumer’s daily life where categories like Body Lotions and Facewash have shown an increase in consumption by 8% and 14% respectively. Another reason driving Upgradation is Affordable Luxury, taking a classic example of Godrej introducing Hair Colour Crème - a modern day Hair Colorant format in a convenient pre-measured sachet has led to massive upgradation to Crème from traditional hair colorant formats. The penetration levels for the brand has more than doubled post launch of a small pack from a mere 1.6% to 4.2% in 2014. Also giving a consumer something different; something which is much Beyond the basic offering will induce him to pay for a better performing product. Taking a few examples of successful brands are Fiama di Wills launching a Gel bar soaps, or Mamy Poko Pants entering the market with a Pant style diapers has resulted in a paradigm shift. Hence marketers today need to give consumers a reason to upgrade by building on their trust through health and safety. Go beyond the basic offering for the product by giving consumers an inspiration on lifestyle. Strategize, identify the right audience and understand the value of your brand only then will a consumer perceives a brand as premium and worth a higher price. • Within the Bar soaps category, the share of spends on Premium brands has gone from 30% to 33% and shampoo category the share has increased from 34% to 36%. • Premium FMCG categories like Kids MFD, Fabric Softener, Handwash are showing a double digit growth. • The Kids Milk Food drinks category is growing at the rate of 20% in terms of value while Handwash and Fabric Softener saw a growth of 24% and 33% respectively. This article was originally published at Mediavatar on 30th March 2015.